Sentosa which prides itself as the “State of Fun” is certainly living up to its own tagline. Last year, Singapore’s first on-road cycle lanes were built on that island. Cyclists can now ride alongside vehicles with greater confidence. 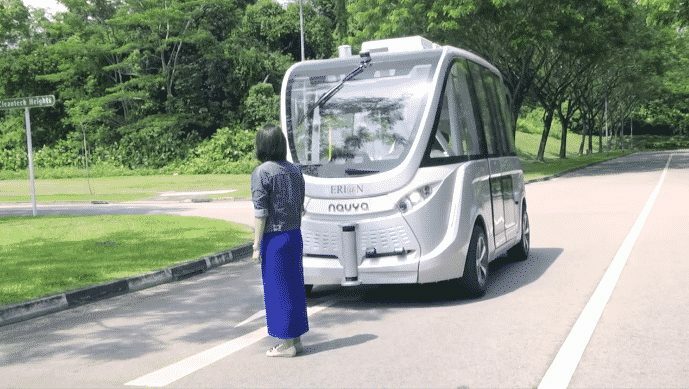 Come 2018, people can travel within Sentosa on an autonomous vehicle (AV). 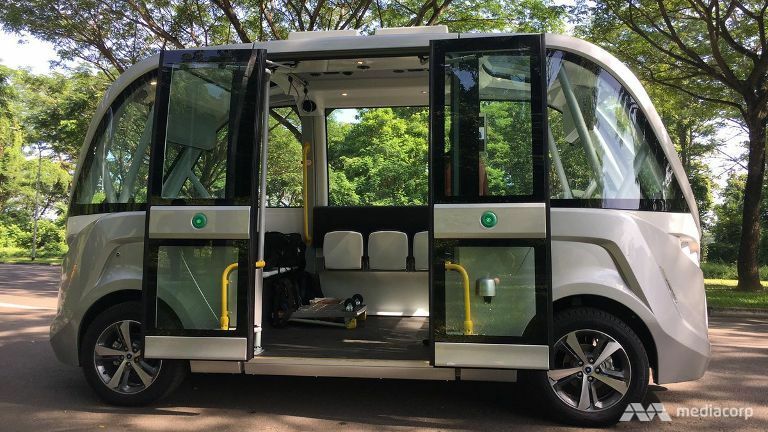 The Land Transport Authority (LTA) announced today that it has inked a partnership agreement with ST Kinetics to develop and trial driverless buses. Possible sites for the trial include Jurong Island, NUS and Sentosa. Don’t be surprised if you spot four mobility on-demand pods moving along three routes sometime this month: Tanjong Beach, Palawan East to Silosa Point , Sentosa Golf Club to Imbiah Lookout. The 15-seater Navya Arma and 20-seater ST Kinetic Shuttle will be put to test before it’s officially open to public next year. Visitors at Sentosa will be able to book a ride via their smartphones or information kiosks around the island. Speed: Top speed is 45km/hr but operational speed is 25km/hr. Passenger capacity: 11 seats and space for 4 standing pax or bikes and wheelchairs. Battery: 5 to 8 hours on a single charge. Technology: GPS, four intelligent cameras and eight lidar (light detection and ranging) sensors. The lidar sensors can map a computer model of the environment and detect (hundreds of times per second!) any objects obstructing its way. We assume this includes Sentosa’s very own resident peacocks. The Arma shuttle, developed by French company Navya, is not new to Singapore. It’s also being tested at the Nanyang Technological University, plying between CleanTech Park and the NTU campus. The AV was first deployed in France in 2015 but has since set its footprint in seven countries globally and transported more than 100,000 people. Source: Autoblog, techAU, The Straits Times and TODAY Online.